James Wans The Conjuring looks like a scary hit. This horror movie is scheduled to release this upcoming July 19, 2013. Check out the new trailer and why everyone is so excited to see this horror film. Curse of Chucky brings Chucky back to the dark little serial killer days. I grew up around the time that Chucky movies started coming out and all kids around that time knew him by name. They were pretty good horror movies at first but with every new release became less noteworthy. The new reboot is trying to put Chucky back in every kids mind as the new boogie man. Better be good or Chucky will get you on DVD and Blu-ray this upcoming September 24, 2013. Did you see/like Haunted House? 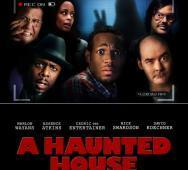 Marlon Wayans and all those great comedians tried their best to make Haunted House a hit, sad to say, it was not good. Check out the latest news on the Haunted House 2 plot details. Is this a sequel you will be watching? Michael Tiddes will be directing Haunted House 2 and the horror comedy is scheduled to hit theaters this upcoming March 28, 2014. Vin Diesel dropped on his Facebook Page the new IMAX poster for Riddick. 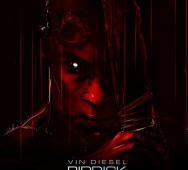 Riddick hits theaters this upcoming September 6, 2013 so make sure you mark that date down. Netflix made a hit with Hemlock Grove in my opinion even though I expected more from the ending. I am looking forward to the next season and Netflix has green lit season 2. Hemlock Grove Season 1 premiered April 19, 2013 with 13 episodes. Hemlock Grove Season 2 will have 10 episodes and will air next year. Eli Roth was and will continue to be the Executive Producer for the Netflix original series. The new official poster for Jeff Renfroe‘s cannibal movie The Colony is looking intense. 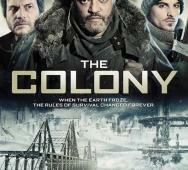 The Colony stars Laurence Fishburne, Kevin Zegers, and Bill Paxton. Look for The Colony this upcoming September 20, 2013. 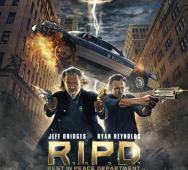 Universal Pictures’ R.I.P.D. is set to drop this upcoming July 19, 2013 so check out the latest TV spot. I have really high hopes for this horror movie starring Ryan Reynolds, Jeff Bridges, Kevin Bacon, Stephanie Szostak, Mary-Louise Parker, Marisa Miller, Mike O’Malley, James Hong, Tobias Segal, and Robert Knepper. Kevin Bacon is hidden from every trailer and clip huh? 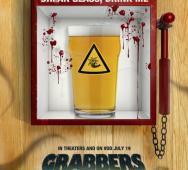 Upcoming creature horror movie Grabbers will select theaters and VOD this upcoming July 19, 2013. So until then check out the latest US poster. New poster was created by Gary Pullin. 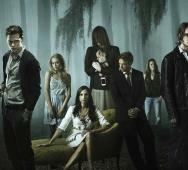 HBO released a “weeks ahead” trailer for their hit vampire show True Blood Season 6. 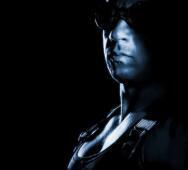 Vin Deisel looks like he totally brought his A game in this new international trailer #2 for Riddick: Rule the Dark and Comic Con poster. This upcoming September 6, 2013 will be Riddick Day and Vin Diesel will be chuckling that he dropped another bombshell. I am so psyched. The trailer looks totally awesome and badass! 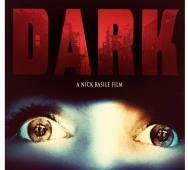 Joe Dante is the Executive Producer to “Dark” which will be directed by Nick Basile and written by Elias (Gut). The horror film Dark focuses on the 2003 New York blackout. I remember that blackout and it was not creepy as the night fell. Look for Whitney Able and Alexandra Breckenridge to star. 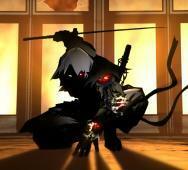 Yaiba: Ninja Gaiden Z is looking great! Check out the latest videos from E3 2013 that show us the intro and gameplay footage. Ninja’s fighting zombies is pure gold. 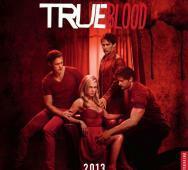 June 16, 2013 is the night HBO‘s True Blood Season 6 will be premiering and everyone has to see it. Sink your teeth into the new True Blood clip trailer! Marcus Nispel‘s Backmask photos look Evil Dead remake scary. Take a look at these for yourself and you know you are in for haunted nightmares with scary demons. This horror film stars Gage Golightly, Brittany Curran, Stephen Lang, Kelly Blatz, Brett Dier, Nick Nicotera, Nick Nordella, and Michael Ormsby. Stage 5 of TV’s “The Continuum” anthology has just released Part 2 “So Dark”. This vampire short video continues the previously released “So Pretty” video that was released earlier in October. Both are available to watch instantly below; I suggest you check them out. The series focuses on what vampires in modern society would be like. 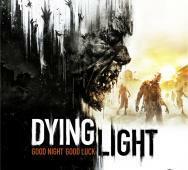 Warner Bros. Interactive has been working on what looks like a great upcoming zombie survival horror game Dying Light. They released a CG trailer that looks great with a great catchy track playing in the background to match. The trailer tells a great deal of what to expect in game play. Many people will play but only a few will make it to daylight, but even then, other horrors await the player. Fantastic horror game trailer you have to see. The CW is really going hard on The Vampire Diaries world, can you blame them if it works so well. 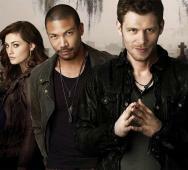 The CW released two preview trailer for The Originals so check them out below. Just in case you missed it, series synopsis is also available below. 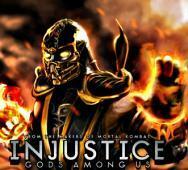 Scorpion will be a new DLC character in Injustice: Gods Among Us. Trailer and Gameplay are watchable in the video below. You even get to see the Scorpion ending as Scorpion finishes a dead Superman wearing the a custom from the new Man of Steel movie coming soon to theaters. Thank you Warner Bros. Entertainment. 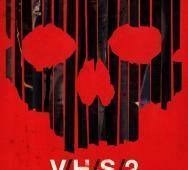 Check out this bloody and gory V/H/S 2 clip that will give a taste for whats to come in this sequel. See walking creepy figures crawling on ceiling and a man implode before your eyes. This horror film is directed by Simon Barrett, Adam Wingard, Gareth Evans, Eduardo Sanchez, Gregg Hale, Jason Eisener, and Timo Tjahjanto. IFC‘s remake of Maniac starring Elijah Wood is something that should be on everyone’s to watch list. 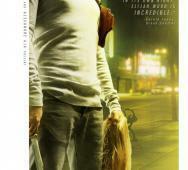 The film will be released to VOD this upcoming June 21, 2013. Elijah has come a long way after playing timid Frodo in Lord of the Rings huh.